Choosing a theme is not necessary, but this focus helps you to plan and prepare for the party. Food, attire, decorations and activities can reflect the chosen theme. Here are some ideas. Choose a Foreign Country: Japanese Tea Party, French Tea Party, Mexican Fiesta Tea Party, etc. Create your theme-based invitations using card stock, colored unlined 4”x6” file cards or colored printer paper. Add stickers, glitter, pictures and decorations. 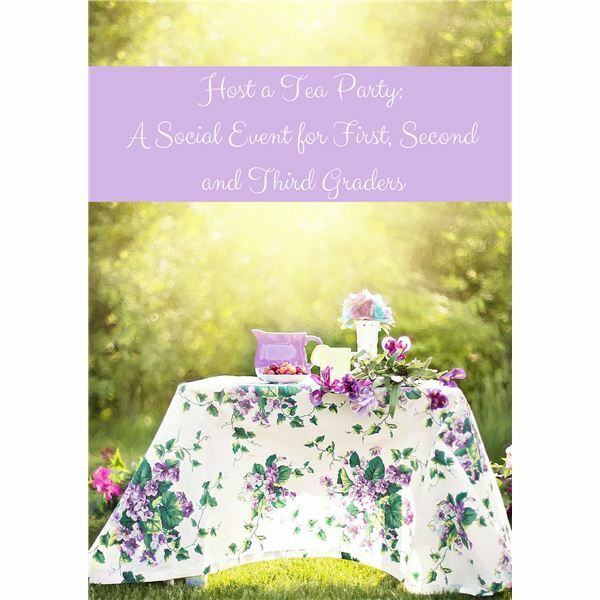 Your child (the host or hostess) should model the manners expected at a tea party so that the guests will follow along. Practice ahead of time. Napkins on your lap and no elbows on the table. Eat slowly and no talking when your mouth is full. Depending on the theme, you can make some decorations or purchase them. Use a tablecloth, plates, teacups and a centerpiece. It is best not to give children caffeinated tea but you may serve many varieties of herbal teas. Also, provide juice or water. Be aware of any allergies your guests may have. As the guests gather at the table for tea, you or your child can explain the history of afternoon teatime. Anna the Duchess of Bedford in England is credited for starting the afternoon tea. She did this because there was such a gap in time between the large breakfast and the large but late dinner. She would feel ill in the afternoon and began having tea and a light snack in her fancy bedroom. After a while, she began inviting friends to join her. The idea caught on and spread. Add music based on the party theme and encourage dancing after the elegant and proper teatime. Include a craft or party game. Asian: Make paper fans by decorating the paper first with glitter, Chinese lettering, designs with colored pencils, crayons or watercolor paints. Fold accordion style and add a looped ribbon at the bottom to slide on the wrist. O’Connor, Jane. Fancy Nancy Tea Parties. Harper Collins Children’s Books, 2009.